With power of social media... Think we had 15 in the end. No cameras or motorbikes or horses. Thanks for sorting the route out Guy, yes some good roads. 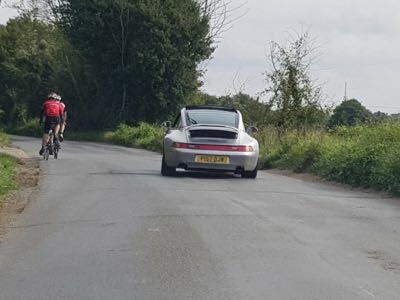 Not much you can do if the dates clashed with a cycling club having a time trial on the same roads. I felt for them. 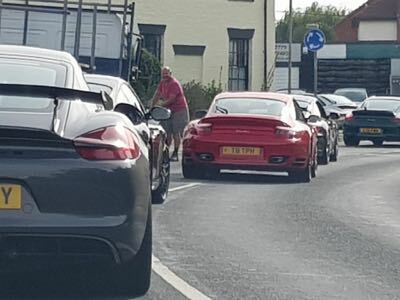 Thanks for sorting that out Guy, quite exhilarating seeing and hearing a load of 911's giving it plenty. 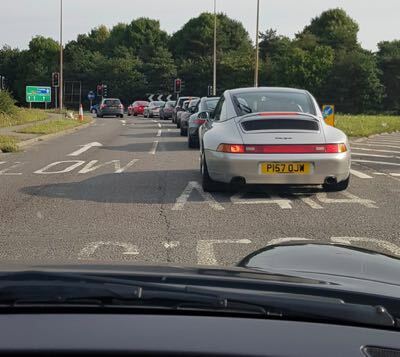 Not sure who was in the green 996 turbo but it was most enjoyable being sandwiched between that and Terry for a few miles until 'Driving Miss Daisy' in her Fiesta held everyone up!!!! Yeah, that can only be me - not much green around! 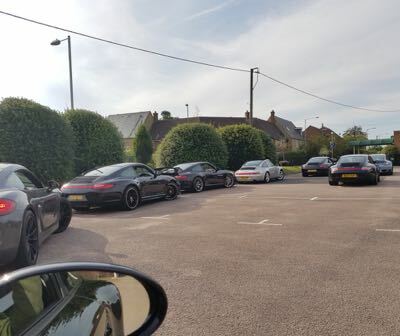 Here is a little link to a clip of us leaving, gives a good idea of the range of cars. Sorry, don't know how to embed a video so click the link and then click the file to download. At 400 yards you now hold the record for losing the last third of the convoy quicker than anyone else. Of course it wouldn't have happened without my help. I knew I should have told Helga those way-points. 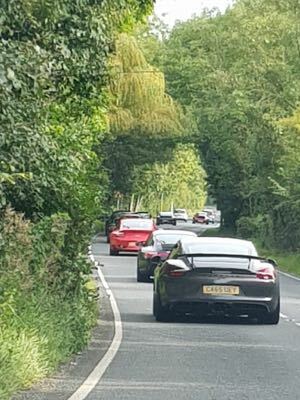 Apologies to those of you that followed me the wrong way up the A414 but at least catching up the 7 mile head start we gave the others was a bit of extra fun. Roll on Spa next weekend. Some lovely roads, cheers Guy and great company as always. Thanks Guy for pulling yesterday mornings gathering and convoy together.